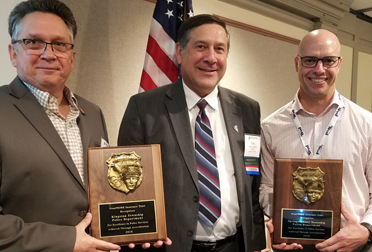 Terry Carcella, Ligonier Township Manager (center), presents awards to Chief Moravec, Kingston Township (left), and Chief Stump, Springettsbury Township (right). Pennsylvania has its own law enforcement accreditation system, through the Pennsylvania Chiefs of Police Association, known as the Pennsylvania Law Enforcement Accreditation Coalition (PLEAC.) From the beginning, PennPRIME supported this program by providing financial incentives to accredited agencies that have Police Professional Liability coverage with us. Accreditation promotes uniformity within these departments, establishing a solid foundation for professional policing, creating a system for continual improvement, and providing a stronger defense against lawsuits. 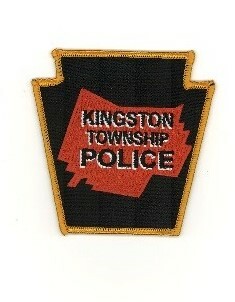 The Kingston Township Police Department, in Luzerne County, employs 11 full-time officers, dedicated to providing service to over 7,000 residents living within their 15 square miles. Eighty percent of their officers are certified instructors in the various disciplines that help to maintain the Department’s accredited status. In addition, their Department employs a full-time, dedicated DARE (Drug Abuse Resistance Education) officer, and has continuously provided the DARE program to the Dallas Area School District for more than 20 years. While accreditation is a significant achievement for an agency of any size, it is particularly impressive for a department of 11. Michael Moravec is the Chief. Officer Wade Curtis is the Accreditation Manager. 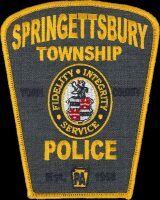 The Springettsbury Township Police Department, in York County, employs 32 full-time officers, and 3 civilian employees, dedicated to providing service to over 26,000 residents living within their 16 square miles. In 2016, they voluntarily partnered with the Department of Justice's Office of Justice Programs Diagnostic Center. This collaboration helped them incorporate procedural justice into daily practice, improve police-community relations, and develop a body camera policy. In 2017, the Department received the “Heart of Change” award from the Crispus Attucks Community Association of York for their efforts in bridging the gap between the community and the police. They were initially accredited in 2006, and were among the first 30 agencies in Pennsylvania to achieve this status. They have been reaccredited four times since. Daniel Stump is the Chief. Kelley Sciangula is the Accreditation Manager. Phoenixville Borough Police Department was also reaccredited. Since they were unable to attend this year’s conference, we will recognize their achievement in 2019.